A small village on a hill and behind that some grimmer mountains. The wheat in the foreground is ready to be harvested. 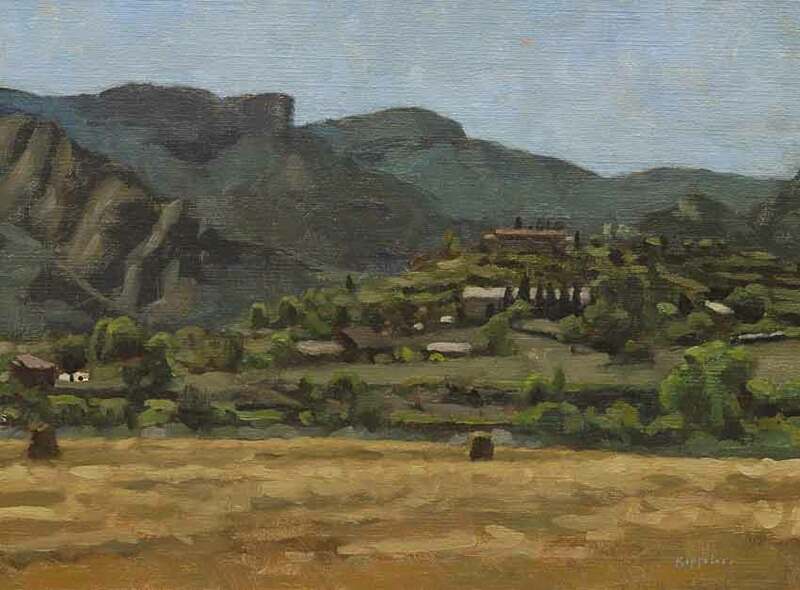 Spanish landscape painted en-plein-air.